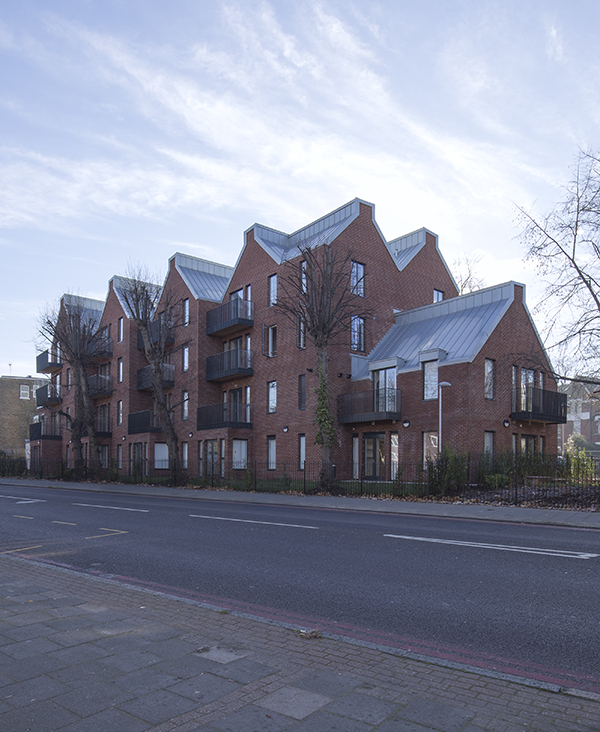 Located on a triangular site adjacent to Christchurch Road, Streatham Hill provides a mixed-use development consisting of 17 luxury apartments, a Primary Care Trust (PCT) health centre and pharmacy. 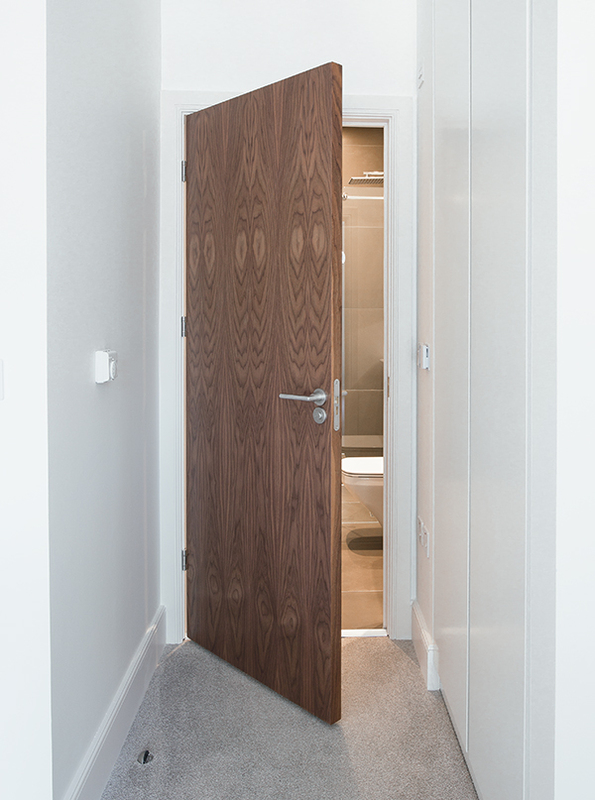 Designed by CDMS Architects and built by Curo Construction, Streatham Hill replaces a detached Victorian house with a four-storey building incorporating an undulating pitched roof mirroring the forms of the Victorian pitched roofs in the local area. 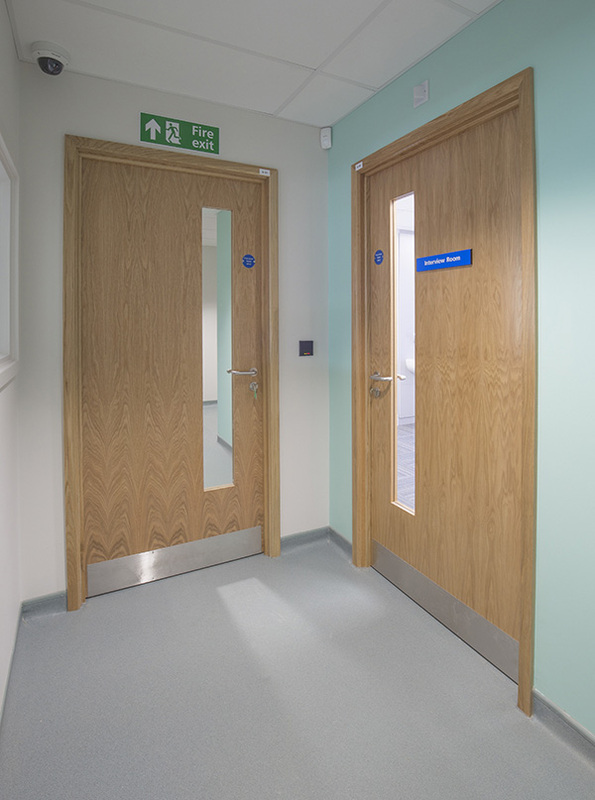 Doorview were asked to supply the timber doors, ironmongery and timber glazed screens for the entire project. 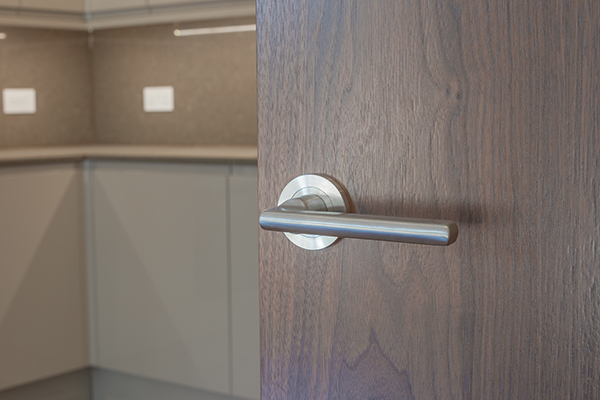 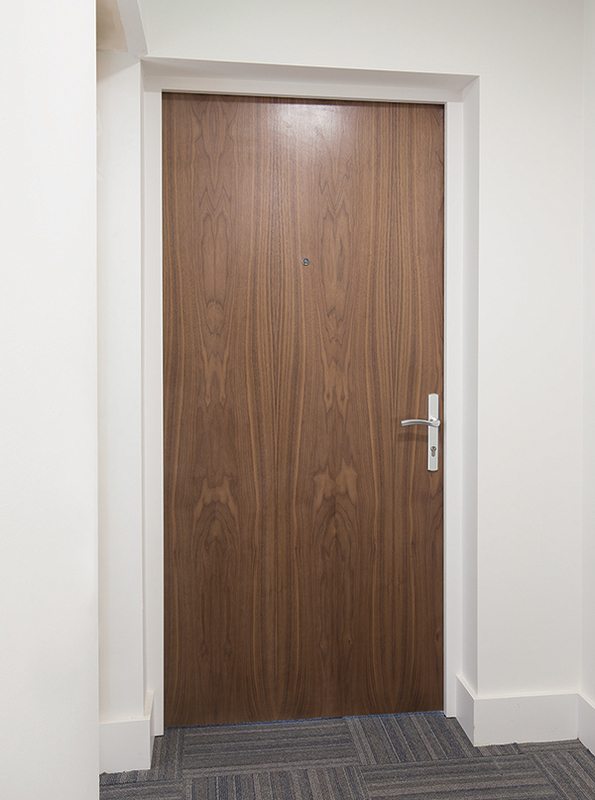 American Walnut veneered doors and frames were selected in the residential areas with entrance doorsets and their ironmongery requiring to be tested to PAS 24-1. 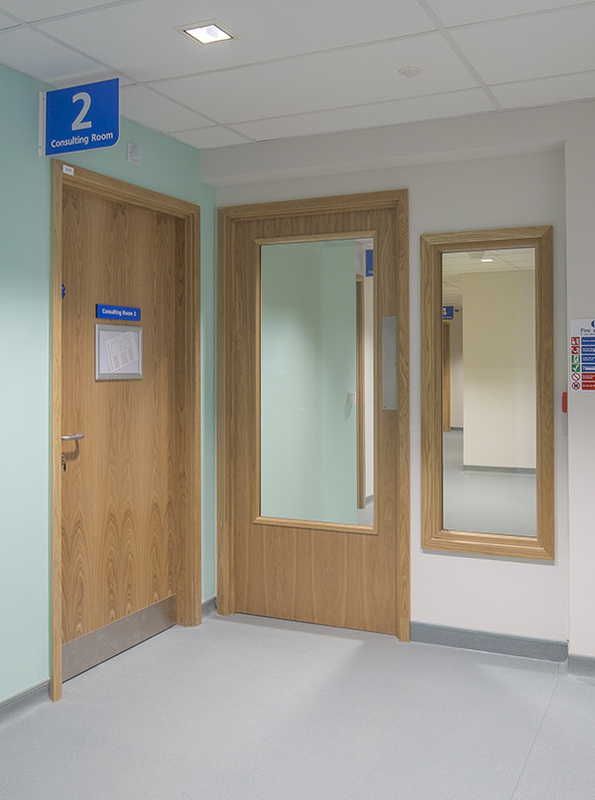 In the PCT health centre, Oak veneered doors were chosen along with vision panels and glazed screens to the relevant fire ratings, including a feature glazed screen wall in the reception area. 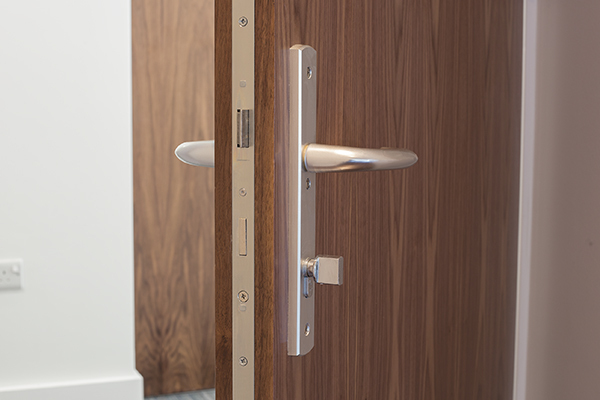 In addition, return to door safety lever handles were specified meeting the dimensional guidelines of BS 8300 and a full master key suite was supplied for all of the consultation and treatment rooms.